Sony’s Alpha DSLR-A550 is a mid-range DSLR aimed at enthusiasts, featuring 14.2 Megapixels, built-in stabilisation, a vertically-tilting VGA screen, two Live View modes and quick continuous shooting at up to 7fps. 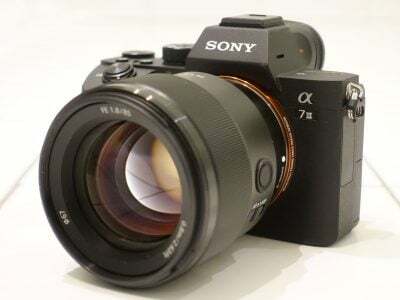 Announced in August 2009, it represents a new mid-range DSLR category for Sony, slipping between the entry-level A3xx and semi-pro A7xx ranges – and like the entry-level models, Sony also has a slightly different version on offer in the form of the Alpha A500. The Alpha A500 shares the same body, built-in stabilisation and tilting monitor mount as the A550, but hits a lower price-point thanks to three main lower specifications: the A500’s resolution falls from 14.2 to 12.3 Megapixels, the screen size remains 3in, but its resolution drops from VGA (920k) to QVGA (230k), and finally, the A500 is lacking the A550’s 7fps shooting in AF-locked ‘Speed Priority’ mode, although both cameras shoot at the same respectable 5fps with AF. So like the entry-level range, Sony allows you to choose the model with the features to match your requirements, while maximising its presence on retail shelves. It’s certainly impressive to find Sony now offering no fewer than five affordable DSLRs to consumers, when rival manufacturers generally have just one or two to choose from – indeed it ensures any potential Sony customers stick with the brand rather than considering a rival because it’s a little cheaper or better-featured. Eagle-eyed Sony spotters will note the Alpha A550 shares the same sensor size and resolution as the A380 and the A350 before it, but unlike the CCD model in those bodies, the A550 features a new CMOS sensor. The maximum sensitivity is now four times higher at 12,800 ISO and Sony claims lower noise levels across the range. The new sensor also features faster data readout, supporting the quick continuous shooting, and crucially like all Alpha DSLRs, is mounted on an adjustable platform to counteract for camera-shake; Sony claims 2.5 to 4 stops of compensation. The disappointing continuous shooting capabilities of the entry-level Alphas has been significantly upgraded here with a top speed of 5fps, and if you’re happy for the focus and exposure to lock during a burst sequence, the A550 additionally offers a quicker 7fps option in its Speed Priority mode. While not suitable for subjects approaching or receding quickly, this mode would be fine for capturing action at roughly fixed distances or with more forgiving wider lenses – such as skateboarding photography. Continuous shooting is unsurprisingly slower in Live View, but still very respectable at 4fps, and crucially Sony’s primary Live View system supports continuous autofocusing, making action photography in Live View quite practical. This is unlike most rival cameras which can’t continuously focus in Live View. The Alpha A550 becomes the first camera to mount a high resolution 3in VGA screen on an adjustable platform. Like the A3xx models, this platform tilts vertically, but unlike those models the actual tilting range is greater, allowing the screen to point vertically upwards for waist-level shooting or vertically downwards for easy framing over the heads of crowds – and again the quick AF in Live View further enhances the usefulness of this articulation. The Alpha A550 also uniquely features not one, but two different Live View systems. The main ‘Quick Auto Focus’ mode follows the existing A3xx range by employing a secondary sensor in the viewfinder head. The benefit of this approach is not having to bypass the conventional phase-change AF system during Live View, thereby allowing the A550 to autofocus as quickly as it would do normally, while avoiding interruption or noise. It also means you can switch in and out of Live View very quickly without any fuss. The downside to not taking a direct feed from the main sensor though is the inability to enjoy 100% coverage or precisely check the focusing at a pixel-level. Sony’s now addressed this by offering a second Live View option on the A550, entitled Manual Focus Check. Pressing the new MF Check button on the upper right surface flips the mirror up and opens the shutter to deliver a live feed from the main sensor like most rival DSLRs. In 1x view, the feed delivers 100% coverage, while magnified 7x and 14x views allow you to absolutely confirm the focusing. Completing the specifications are an HDR mode which combines data from two exposures, an HDMI port for connection to HDTVs and an easy-to-use interface. Despite resisting the trend to include video recording capabilities, the Alpha A550 remains a powerful DSLR with an eye on speed. 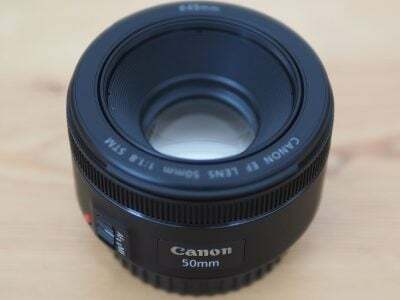 It is however up against some very compelling rivals in the mid-range category, including Canon’s EOS 500D / Rebel T1i, Nikon’s D5000 and the Olympus E-620. While many are concentrating their comparisons of the A550 against these bodies, the Sony is actually comfortably more expensive with the Nikon D90 being a much closer rival. 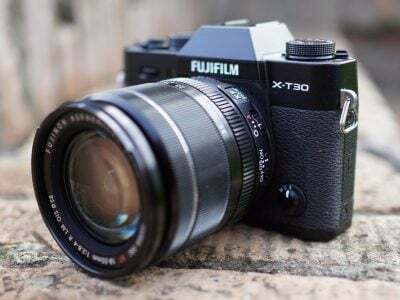 As such in our full review we’ll compare the features and handling of all these bodies, while taking a detailed look at the image quality compared to the D90. Read-on to discover how Sony’s latest Alpha measures-up. We tested a final production Alpha A550 running firmware version 1.0. Following our convention of using default factory and best quality JPEG settings to test cameras unless otherwise stated, the A550 was set to Large Fine JPEG quality, Auto White Balance, Multi-segment metering and the Standard Creative Style. High ISO NR and the D-Range Optimiser were set to their default Normal and Auto settings respectively, except from our High ISO Noise results where the latter was disabled as it can introduce noise. SteadyShot stabilisation was enabled for all handheld shots and disabled for tripod-based tests.